When life seems crazy, it can be difficult to prioritize and plan nutritional meals and snacks for your household. It’s sometimes easier to reach for frozen pizza or go through a fast food drive through. 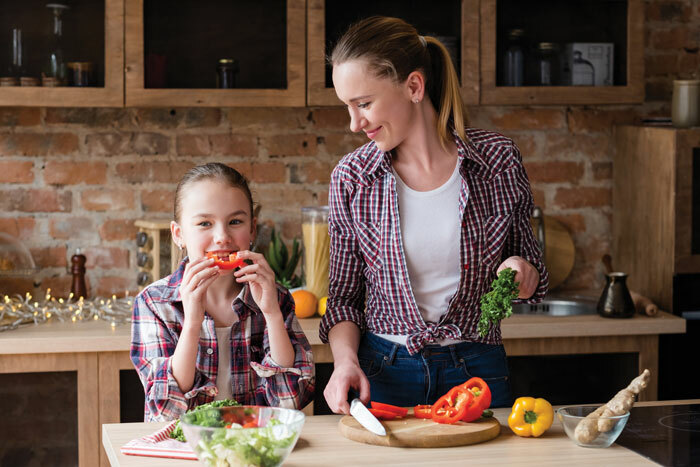 While both can be enjoyed now and then, there are ways to make sure your family is eating nutritious meals on a regular basis. One method is to incorporate meal planning into the schedule. Spirit Lake Hy-Vee’s Dietitian Abby Kipfer says the key to successful meal planning is to find a strategy that works best for your home. “I like to focus on a week at a time and plan my meals and snacks for the week. I do a lot of meal preparation on Sundays, so when the busy work week starts, I have healthy food ready for me to grab and go,” she said. Kipfer says it’s important to follow a balanced diet that includes a variety of foods from all the food groups: fruits, vegetables, dairy, grains, and protein. Including fruits and vegetables are especially important, because most people aren’t getting enough of them in their diet. 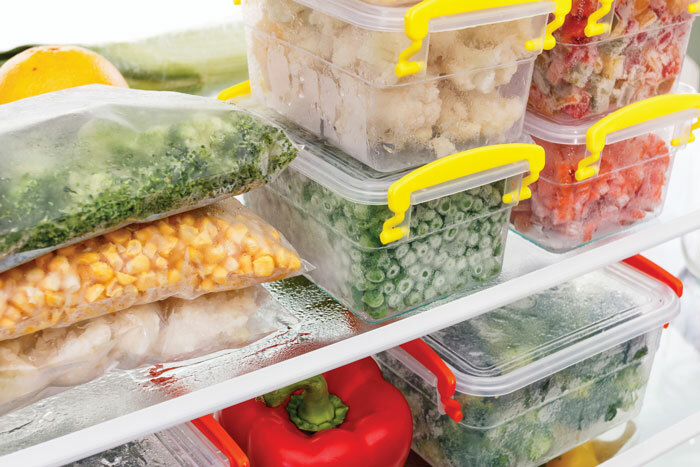 Another suggestion for busy families is to always keep healthy convenient items on hand for that go-to meal, especially on the days when time is lacking. It means stocking the pantry, fridge, and freezer with healthy foods that are quick and easy to prepare, whether it’s a rotisserie chicken, frozen (steamed) vegetables and instant brown rice. Other things to keep on hand are frozen meat, eggs, whole wheat pasta and yogurt. As a dietitian, Kipfer, most importantly, wants to help people become nutrition-conscious. This means whether they’re meal planning or shopping for groceries. “As a Hy-Vee dietitian, I believe that making healthy choices begins at the grocery store. I like to provide customers with the knowledge base to be confident in making healthy choices in the aisles,” she said. This is why she provides complimentary grocery store tours and can tailor these tours for those battling diabetes, high blood pressure or want to lower their cholesterol. She can also help someone focusing on healthy eating. During these tours, Kipfer likes to review label reading and will point out some of her healthy go-to items. She also offers a 7-10 week program called “Begin,” which emphasizes setting health and wellness goals. A participant will learn about different nutrition topics each week. Kipfer also understands the struggle of helping children make wise eating choices. However, she said it begins at home. “Kids observe everything their parents do, so it is extremely important for families to eat meals together. If they see other family members enjoying vegetables, then they are more likely to follow,” she said. A person’s taste buds are always changing, so she said to continue to introduce foods in different ways (i.e. steaming, roasting, raw, etc.). Sometimes adding ranch or cheese sauce will help entice kids to eat their vegetables. “Ranch and cheese sauce aren’t the healthiest choices, but it is much better than skipping the vegetables altogether,” Kipfer said. Eating healthy can sometimes be a difficult task but slowly making changes until they become habits are how New Year’s goals stay on track. It means focusing on small attainable goals, and then writing them down so they can be seen on a regular basis. This helps with focus and motivation. This includes taking time to meal plan at the beginning of a week so healthy options are available when in a time crunch or when kids want something to munch on. Make sure to schedule days and times to workout, making it much more likely to take place. Kipfer says it does help to have a support system that focuses on similar health and wellness goals. It helps with accountability. There are numerous people struggling with health issues that are impacted by food. It can be extremely overwhelming to limit or eliminate foods, especially when they are first diagnosed. Kipfer likes to tell customers to focus on the basics and start with minimally processed, whole foods. Kipfer is available for one-on-one consultations at the store and can provide recipe and snack ideas for a variety of people struggling with food allergies or diseases affected by food. Another option for interested participants wanting to plan healthy choices for their family is to attend a freezer meal class hosted by Kipfer at the Spirit Lake Hy-Vee. They take place once a month and include a new menu every month. She personally tries out the recipes before introducing them to the class, and the menus typically include two chicken recipes, one pork, and one beef recipe. There are also healthy recipe swaps included, such as using a can of beans with no salt. Kipfer will provide recipe pairing suggestions so there are ideas to serve with the entrée. To find out more about Kipfer’s monthly classes, the schedule is always posted on the Spirit Lake Hy-Vee Facebook page or by visiting the store’s customer service for additional information. For help with meal planning or creating a healthy lifestyle, contact Kipfer at 712-336-4900.